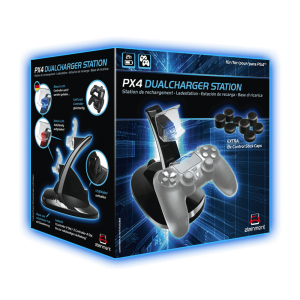 The PX4 Dualcharger Station reliably charges up to two PS4 Controllers simultaneously. Bi-colour LEDs indicate at all times if the controllers are full or still charging. 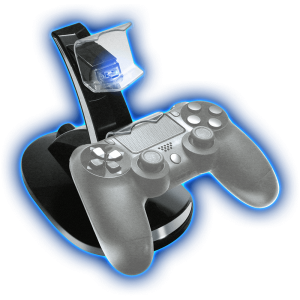 Power is supplied through the enclosed USB cable, which plugs directly into the PlayStation. That means a separate adaptor is not required. The charging boxes are designed to snugly fit the Original PlayStation Controller and ensure a reliable power supply. A large rubberised foot provides stability. 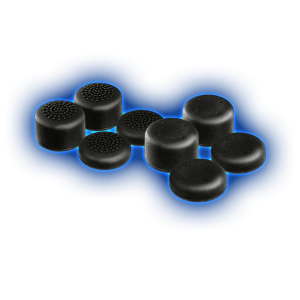 This offer features 8 additional high-quality controller stick attachments for use with the Original PS4 Controller. 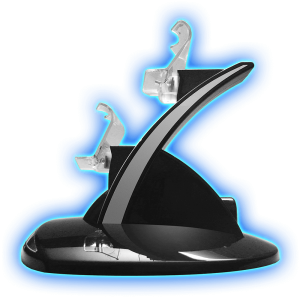 The attachments not only protect the delicate controller sticks, but also give players better grip and control in games.